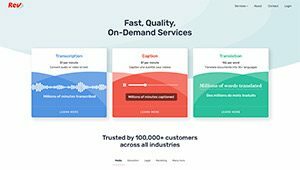 In case you don’t know, Rev.com transcription service helps you to turn your videos and audios into text quickly and easily without having to type them up yourself. You can use this text in a variety of ways, including closed captions for your videos on social media. This service is a great option because if you do anything on social media with live video or if you do video sales letters, there’s a problem you need to overcome. The problem is that web browsers will no longer auto-play video with the sound turned on. This is a nightmare for marketers with video sales letters. Also, on Facebook, your video starts playing with NO SOUND. If you want to stop people in their tracks you need to have closed captions that show what you’re saying so you can entice people to click the “unmute” button and listen to your words. Here’s the bottom line for you: you can just give Rev.com the link to your online video or upload an audio file, tell them if you want a transcript, closed captions or another option, pay with your credit card or Paypal and you’re done. What makes this transcription service truly stand out is the accuracy of the transcription as opposed to software solutions like Dragon Naturally Speaking, which I think are more of a pain to use than they are worth. Also, with Rev.com, you only pay $1 a minute. That means a ten-minute video costs you $10. 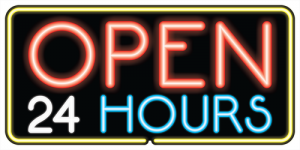 Something cool this transcription service does that most people don’t realize is they are open 24 hours a day and have lots of transcriptionists on staff. That means you typically get your jobs back faster than you do with a one-person shop. This really helps when you are under a crunch to get your projects completed. This is for people who understand the true value of their own time AND the value of having your audio and video transcribed for all the different ways you can use it (articles, closed captions on videos, blog posts, social media posts, even book chapters). The thing I love most about it is the fact that I can order a transcription in less than a minute, I know exactly how much it’s going to cost me, and I get it back within 24 hours (most of the time much faster). I also love all the different options they give me for downloading the text, including .srt files for Facebook live videos. One thing that’s not perfect is every once in a while it will take extra long to get your transcription back. I usually have mine back in 2-4 hours for short content (under 10-minute videos). But on two occasions (out of over 100 projects) I’ve had it take 26 hours and 25 hours. But that’s not a big deal, at least from my perspective, because they did send me an email telling me they were backed up and it ended up not being a big deal. Also, on the one occasion where I got back a transcription job that had a bunch of misspellings in it, I let them know and they had someone redo the job at no charge to me. I use Rev.com to have all my facebook live videos transcribed and then use that transcription to have subtitles appear when my videos are muted. This is the main thing I’m using them for almost every day. However, I have used them to do 90+ minute webinar transcriptions and they do a great job with that too! This transcription service is way less “expensive” than the time and opportunity cost of trying to do it yourself (and a lot more accurate too). You pay just $1 a minute with no employees, no payroll, no minimum orders, and no headaches! When you compare that to voice recognition software where you only pay once (or using online voice recognition software that charges less per minute), it might seem like Rev.com is expensive. But when you factor in the time you have to spend training voice recognition software and then correcting the mistakes, Rev.com turns into a real bargain! Now is the time to take a hard look at Rev.com because you can use text, especially with your videos, to separate yourself from the pack. If you look at all the videos on Facebook (which has exploded with video lately), the ones that stand out are the ones that have subtitles and the ability for you to decide if the video is right for you or not with the sound turned off. To check out this transcription service head on over to Rev.com and give it a try. Make a 2-minute video on Facebook (not in a private group) and then give Rev the link to see how they do. I think you’ll be glad you did!